Surprise your friends or family member by gifting them the ultimate experience in crafting. They might be complete beginners, or have made a few pieces before, but there is always room for perfecting your skills. Our classes are attended by like minded, creative crafters and will be a treat for your loved ones. Gifting a lifetime skill of sewing couldn't be easier. Please choose the course you would like to gift on our Classes page, and follow our standard booking process, choose the class you would like to gift, and select "Gift Voucher" in Available Date field. 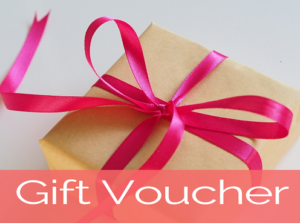 Please provide a name of the person attending the course in Message box and we will send you a dedicated Gift Voucher with their name to your email, so you can gift it to your loved one. Each voucher is valid for 6 months from the date of purchase. Voucher extension can be purchased separately, as long as we are contacted before the expiry date of the voucher.